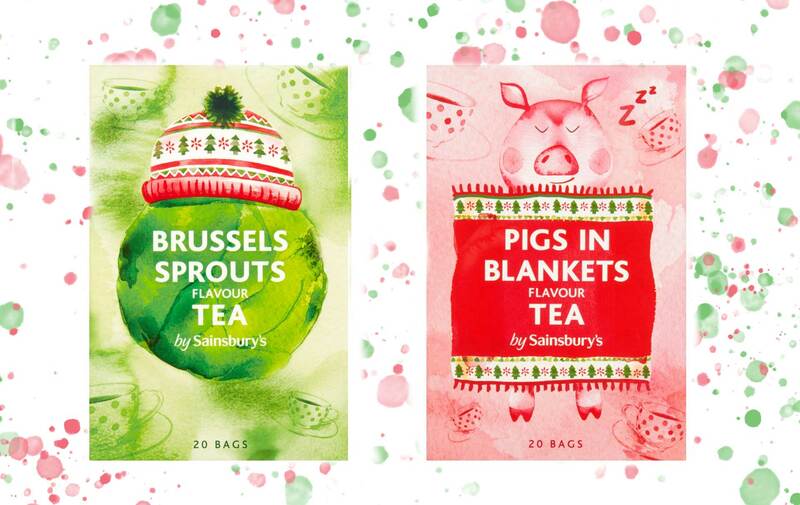 Sainsbury’s latest festive launch has raised an eyebrow or two… Pigs in Blankets and Brussels Sprouts tea anyone? There’s no denying that we’re a nation that’s crazy about pigs in blankets. We were overwhelmed with excitement when Aldi announced theyll be selling foot-long pigs in blankets for this year’s festive feasts and Tesco’s raised the bar even higher with their ‘Pigs in Duvets’. In a UK first, supermarket Sainsbury’s have launched Pigs in Blankets flavoured tea and they’ve caused a real stir online. One person Tweeted: ‘I’d rather have a plate of pigs in blankets and a cup of tea 😁’. Another wrote: ‘🤮 Don’t be ridiculous’. Sainsbury’s have also launched a Brussels Sprouts flavoured tea and we don’t really want to even imagine what that tastes like?! The water you have leftover when you cook sprouts maybe? As crazy as the teas sound, they might not be the most unusual festive launch hitting the shelves this year. Have you heard about Iceland’s Christmas Tree Flavoured crisps?! Sainsbury’s recommend the teas if you’re looking for an unusual foodie gift for secret Santa but they are not meant to replace your regular cup of English Breakfast Tea. Both teas are suitable for vegans, calorie free and are best consumed in the same way you would green tea or other flavoured teas, simply with hot water and no milk.